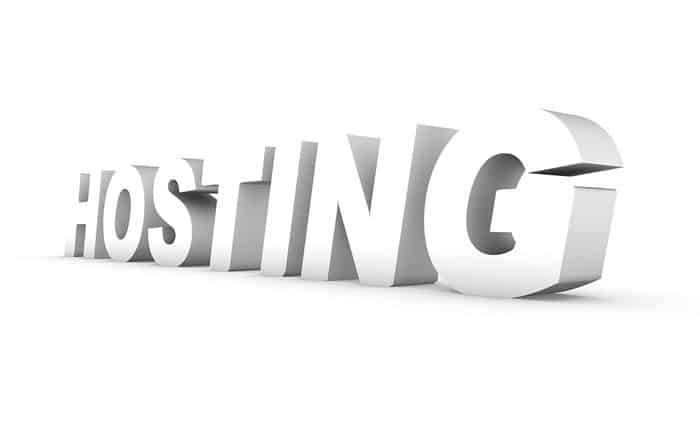 Web hosting is one of the key components of every successful website. Indeed, only the best WordPress hosting can guarantee you of improvements in SEO, conversion rates, and user experience. One challenge with WP hosting, however, is that there are so many hosting options at your disposal. Finding the best type of WordPress hosting for your specific needs can, therefore, be an arduous task. You need a hosting service that will do justice to your site, offer great reliability and hopefully not break the bank. To help you make an informed decision, we have reviewed the 8 best WordPress hosting 2017. But before we delve into that, lets first take a look at some of the types of hosting services you are likely to come across. What Types of WordPress Hosting Services Are There? Free hosting is perfect for those site owners who are not familiar with the hosting and WordPress. This type of hosing is however restrictive in terms of how much control you have over your website. With free WordPress hosting provider, you can expect limited storage space and bandwidth, advertisements on your site and limited support. This type is usually the most popular option for budding WordPress sites because it is inexpensive. It works by allowing many users to run their WordPress websites on a single server. Because all sites share the same resources including processor speed, hard drive space, bandwidth and memory, in case one uses more than others, it will slow down the whole server for everyone. Like shared hosting VPS hosting is also quite affordable hence it is generally preferred by medium-sized sites or businesses. The server costs are usually split among a number of users but fewer users per server compared to shared hosting. Resources are also allocated equally giving you private space on a serve. If you want complete control of your server, a dedicated hosting is the best solution. It is however a bit pricey making it a better option for larger, more established sites. As the only user, you have full control of all the resources hence you don’t need to worry about other sites slowing down your website. This hosting provider gives you access to your own dedicated server. However, the day-to-day management and maintenance of the servers are delegated to the hosting provider allowing you to fully concentrate on growing your business. The provider will optimize your site performance, keep regular backups and ensure your site is secure. This provider has been around for more than a decade now. They offer various web hosting services including shared, VPS and dedicated in a wide range of packages. Their WordPress plans are attractive owing to their budget friendly prices. InMotion offers WordPress pre-installed during checkout allowing you to log into WordPress immediately as well as access automatic WordPress updates. InMotion hosting provides 24x7x365 U.S based support via email, phone and chat. They have the best technical support and friendly customer service representatives in the hosting industry. InMotion includes three plans with Launch plan that goes for $3.49 per month. This plan boasts unlimited space and bandwidth and can only support two websites. The second one is the Power plan for $4.49 per month, supports up to 6 websites and offers unlimited bandwidth and space. The last plan is Pro that goes for $7.49 per month and can support unlimited sites. Like the rest of the plans, it boasts unlimited bandwidth and space. Our Verdict: If you are tired of your current hosting downtime, InMotion is a complete value for money for you. For the features they offer, the provider is worth your time and money. When it comes advanced features like high-grade security, automatic performance enhancements, and scalability, this provider is second-to-none. Its built-in security features ensure no dependency on potentially unreliable third party plugins. With their cheapest plan starting at $29/month, WP Engine is definitely not for people on a budget. You get to enjoy 24/7 fastest support response from the leading WordPress experts and their award-winning team. So for any queries, you can always get in touch with them via live chat, phone or email. Prices are a bit steeper with the Personal plan which is the cheapest going for $29/month. The plan boasts 10GB storage space, 25,000 monthly visits of bandwidth and support for just one website. There is also the professional plan priced at $99/month featuring 100,000 monthly visits bandwidth, 20GB of space and supporting 10 websites only. Another great package is the Business plan for $249/month. This plan can support up-to 25 sites, 400,000 monthly visits bandwidth and 30GB space. Other plans include the Premium and Enterprise Grade plans with better features. Our Verdict: For a site with serious security needs and scalability, WP Engine is a perfect solution. It might be pricey but worth a value. Another great and reliable WordPress hosting is A2 Hosting. The provider prides themselves as the fastest host in the market. 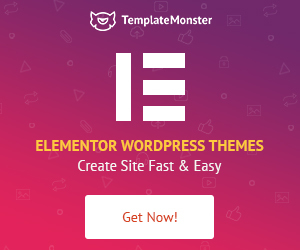 It boasts pre-installed WordPress so users don’t have to download and install the software. 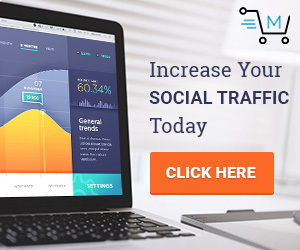 It is also customized with A2’s own plugin which automatically installs and configures some popular plugins to easily optimize your site performance. They have a knowledgeable and friendly team that is available 24/7/365 to help. You can reach them via email, phone or live chat for any questions. Lite plan is their cheapest package going for just $3.92/month but can only support 1 website. They also have the Swift plan for $4.90/month and Turbo plan for $9.31/month which can support unlimited websites. The three plans boast unlimited space and bandwidth which is what sets this provider apart from competitors. Our Verdict: For a budget friendly and a good all-round host with blazing fast speeds, unlimited bandwidth and space, consider investing your hard-earned cash on A2 hosting. SiteGround has grown to become one of the most popular hosting providers in the world. The provider offers high quality managed WordPress hosting services at some of the best prices you will find. 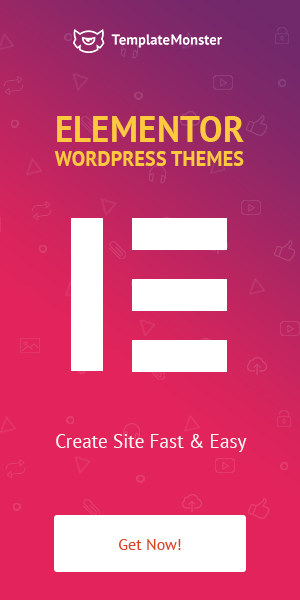 They provide unique in-house WordPress speed and great security solutions to make your website as secure and fast as possible. Additionally, SiteGround provides regular auto-updates so you will always have the latest WordPress version. The only drawback is the fact that only annual subscribers get the best prices. This, however, is not enough to knock it down from the top spot. SiteGround offers one of the most painless customer support experiences you have ever encountered. They offer 24/7 support via live chat, email or phone with very short hold times. Prices for their plans start at $3.95 per month for the Startup package. The package can only support 1 site with 10GB space, 99.9% uptime guarantee and 10,000 monthly visitors for the bandwidth. Other plans include GrowBig for $5.95 per month and GoGeek for $11.95 per month. Both plans support unlimited websites with GrowBig plan boasting 20GB of storage space and 25000 monthly visits of bandwidth. The GoGeek, on the other hand, is a bit pricey, features 30GB storage space and 100,000 monthly visitors. Our Verdict: If you are looking for a provider with a superb combination of great support, low prices, and fast loading speeds, SiteGround is no doubt the best option. BlueHost has been a long time favorite in WordPress community for its easy signup process and 24/7 support system. However, there were rumors that they had several major outages some time back. 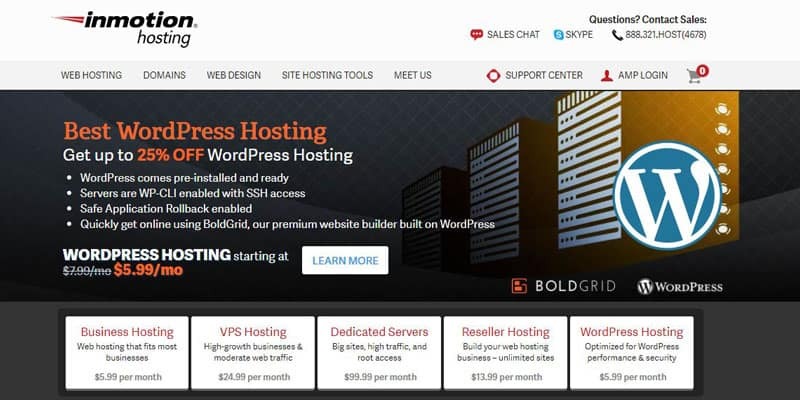 But it makes the list of best WordPress hosting 2017 for its affordability, rock-solid uptime, free SSL certificate, its great suite of security features and decent variety of WordPress plans. They have a team of trained in-house WordPress experts to help you 24/7. You can contact them either via a ticket-based system, system status, chat, knowledge base or by phone. Their help center is well resourced with video tutorials, guides and more. Their Basic plan is priced at $2.95/month with unlimited bandwidth. However, the plan only supports one website and has a storage space of 50GB. They also have the Plus plan for $5.45/month and Prime plan for 5.45/month with both plans boasting unlimited space and bandwidth. The GO Pro is also one of their plans priced at $13.95/month with everything in the Prime package plus high-performance server and more. 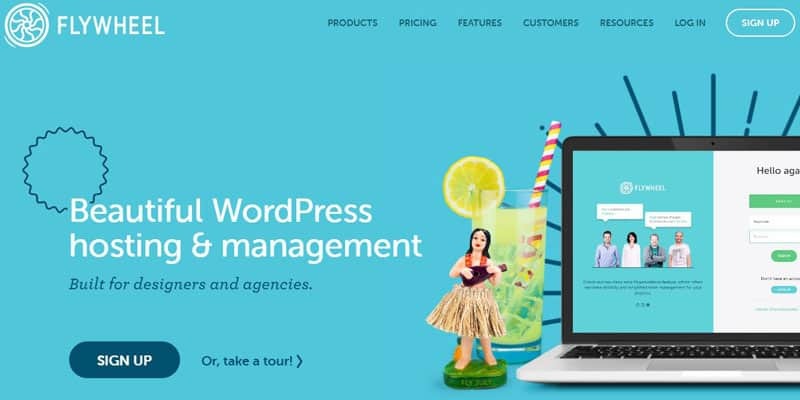 Our Verdict: BlueHost is a perfect WordPress Hosting if you are on a budget and looking for a provider with a decent set of security features and plans. Officially recommend by WordPress.org, Flywheel is built for creative agencies, beginners and designers. Security is robust with round-the-clock monitoring from their technical team to protect your site from all sorts of hackers. All their setups are tuned specifically for WordPress. However, the provider charges an extra$10 for CDN support which can be a big deal for some people. For any queries, you can open a support ticket or get in touch with their helpful support team through live chat only. No 24/7 support option except for emergency cases. They have two major plans including Pay-Per-Site plan for $15/month. The plan supports only one website, 250GB bandwidth and 5GB storage space. The second plan is Bulk plans for $100/month boasting 40GB storage space, 4TB Bandwidth and support for 10 websites. Our Verdict: With its many advanced features, it is a great hosting solution for agencies and developers that don’t need too much handholding. 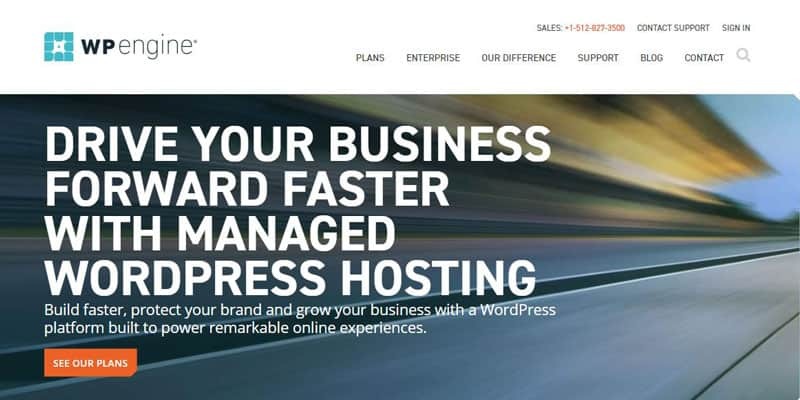 Hosting over 1.5 million websites, apps and blogs, it is no wonder DreamHost is in our list of best WordPress hosting 2017. They offer both shared plan and fully managed WordPress Plans. There are no setup fees and you also get a free domain on every plan. Their support system is excellent. Their commitment to security gives the provider an edge over their competitors. DreamHost promises 24/7 support via phone, support tickets, and live chat. Their in-house team is knowledgeable and friendly to make you feel like you are part of their family. Offering two plans, the Shared hosting plan at $7.95/month is the most affordable. It can support multiple sites. The second plan is the DreamPress priced at $16.95/month and supports unlimited websites. Both plans boast unlimited bandwidth and storage-space. 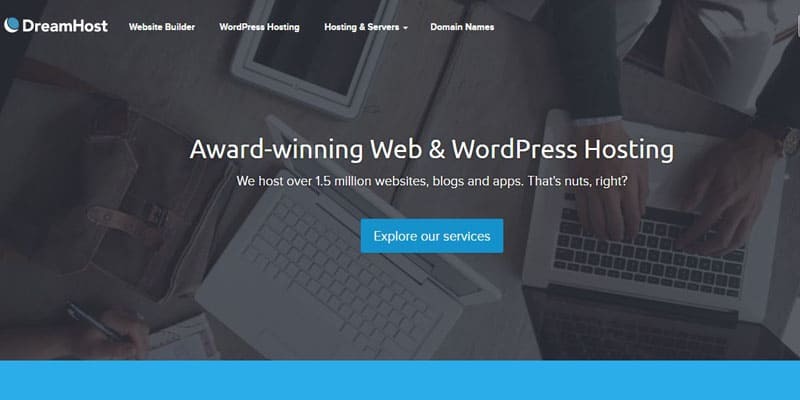 Our Verdict: For a unique experience when it comes to WordPress hosting, this award-winning web and WordPress hosting is a decent provider. 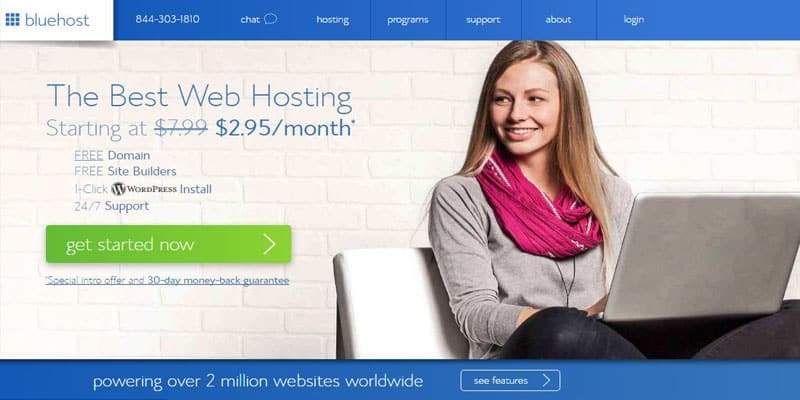 This is a renowned name in the web hosting world. Their pride themselves for their reliable support team, affordable plans, and great speed tests. The provider had site speed problems in the past but has recently turned over a new leaf. Their plans are some of the fastest around boasting SSL certificates. In addition, the boast 99.9% uptime guarantee and one-click script installs. They have a support team that is available 24/7/365. For any WordPress hosting-related queries, you can reach them through Email, telephone or Live Chat. This best WordPress hosting 2017 provider boasts three major hosting plans with the cheapest plan (Starter plan) going for $5.95/month. The plan is built to support one website with 50GB space. The Standard plan is priced at $7.95/month with 150GB storage-space and can support up to 2 sites. There is also the Business plan for $9.95/month with unlimited space and supports up-to 3 websites. All the sites boast unlimited bandwidth. 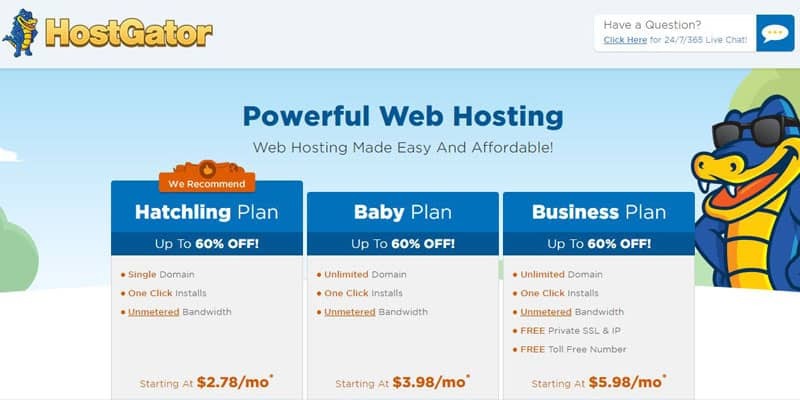 Our Verdict: If the rest of the hosting solutions don’t meet your needs, HostGator is a great alternative. 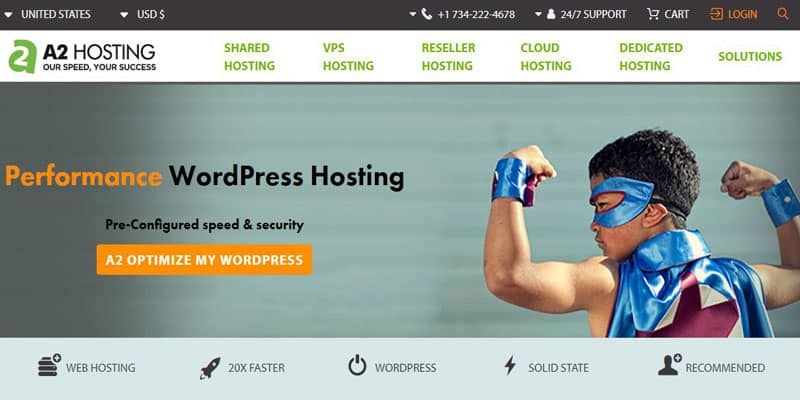 Looking at the ease of use, security features, server speed and performance of 8 best WordPress Hosting 2017 that we have discussed, WP Engine is the overall winner. Although it is a bit pricey than the rest of its competitors, this is not enough to deny it the position of the best hosting provider. InMotion Hosting though on top of the list for its affordability, fails to meet expectations when compared to other products that offer more advanced features.